I'm wondering why I can only place phone calls in Gmail, not in Google Voice, since phone calls seem to be more of a "voicey" thing than an "emaily" thing. True, you can initiate phone calls from Google Voice, but they connect to Gmail or your phone to do the actual call. Google Voice is a voip service which relies on the Jabber protocol (which is what Google Chat is using). Google Chat which is built within Gmail means that your calls will use that if it open and you also selected that option. Not the answer you're looking for? Browse other questions tagged gmail google-voice or ask your own question. 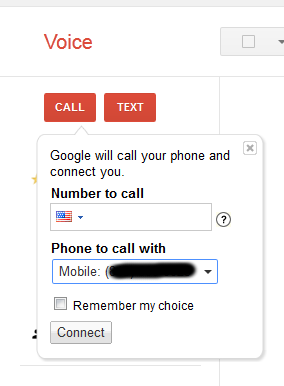 Is there a way to make phone calls from Gmail when the new hangouts is enabled? 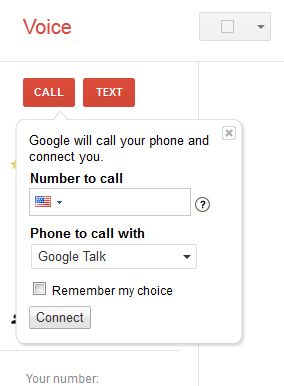 Why are some US numbers not free on Google Voice?